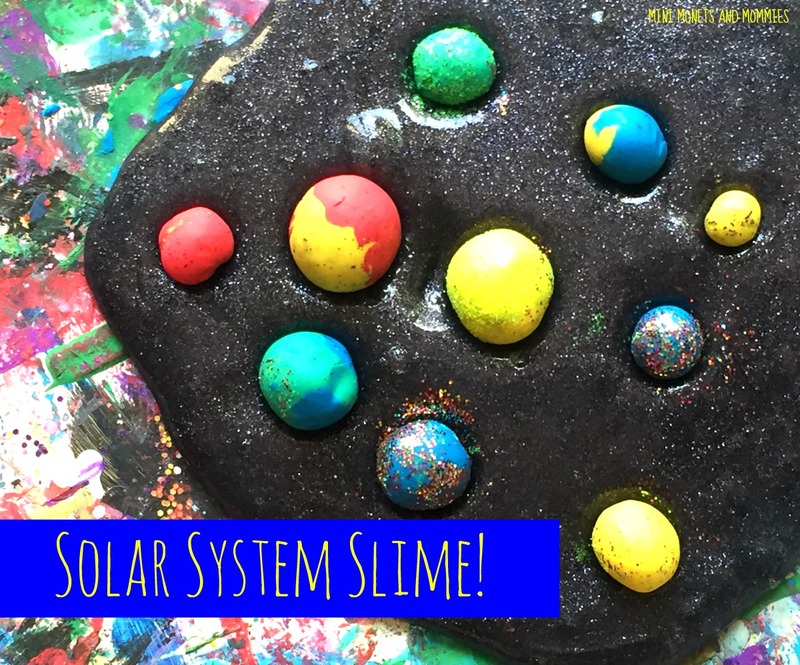 Solar system slime anyone? 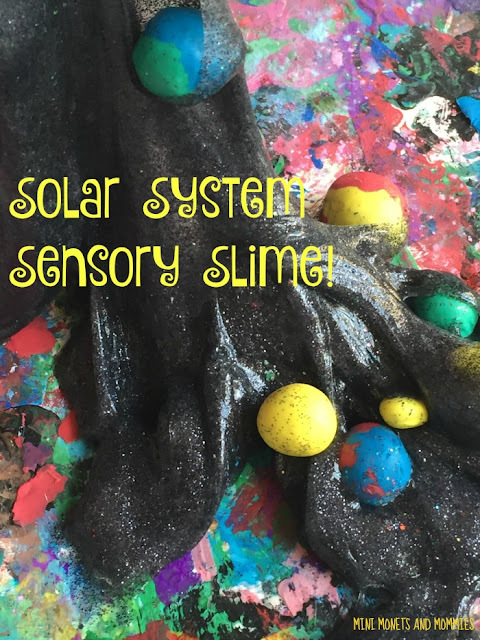 Combine science and art into one stellar (pun completely intended) sensory activity for kids! How? (This post contains affiliate links. Please see my disclosure statement for more information). 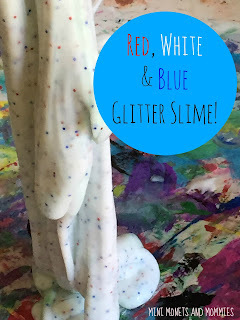 I’m a huge fan of making slime. Mostly, because my 14-year-old actually still thinks it’s kind of cool. And, kind of is good enough for me. But, when he was younger he thought it was really, really, really cool. So, if you have a preschooler or a child in the early elementary school years (or a teen who still thinks this activity isn’t totally boring), keep reading. Playing with the planets is hardly something that your child will do at school. That said, if you want to go a step beyond the good old foam ball planetary model, why not whip up a batch of the ooey gooey stuff? The first try with this recipe was a total fail. I wanted a dark color, so I added black tempera paint. And, that got everywhere. Unless you want paint-covered finger prints all over your house, I don’t recommend it. The next try was much more successful. 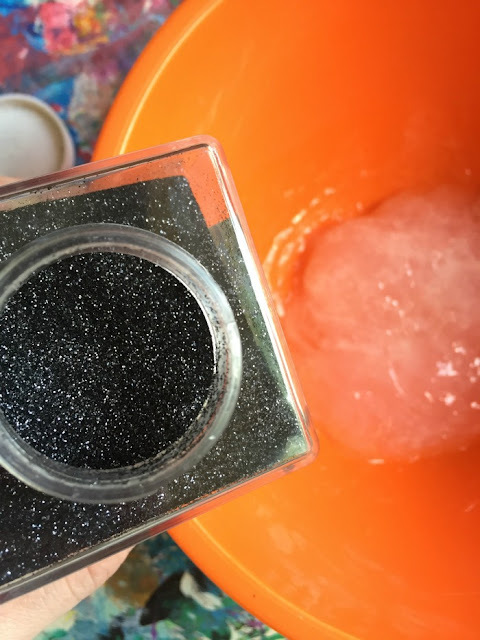 Instead of paint (or food coloring, which I’ve used with some success before) I tried black glitter. Perfect! 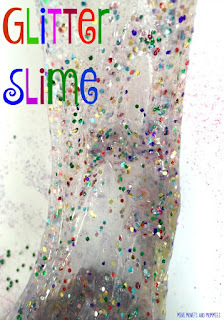 It created a glowing galaxy color that stayed completely on the slime (the glue grabs it and really holds the sparkles on). 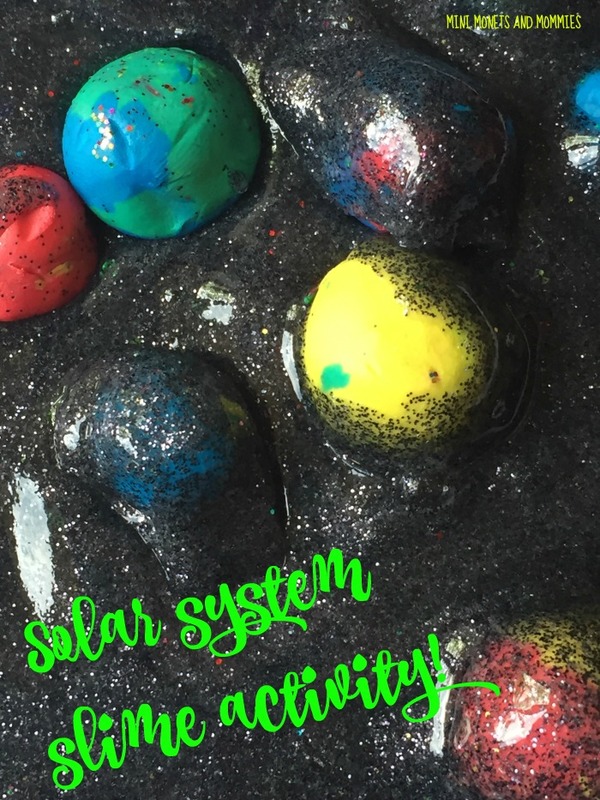 You can use this kids’ activity to learn the planets in our solar system or get creative and have your child make up his own celestial bodies – sculpting his own imaginatively colorful planets that he then names and describes as part of the project. 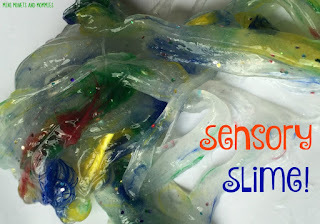 Along with the science (exploring planets) and art (sculpting) parts, this is also an easy sensory activity. 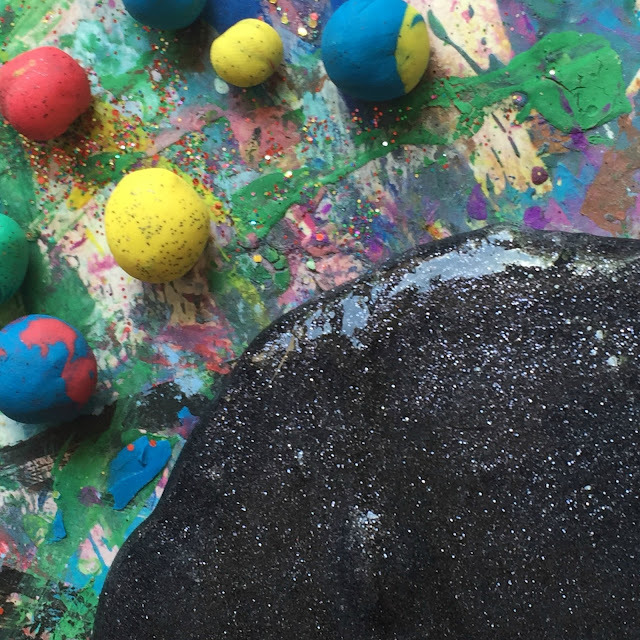 Throwing the clay planets into the mix makes the slimy stuff bumpy and lumpy, adding to the tactile nature of it. · What do you think will happen when we add the ingredients together? · What do you think will happen when we mix the glitter in? · How can we turn the slime into the solar system? 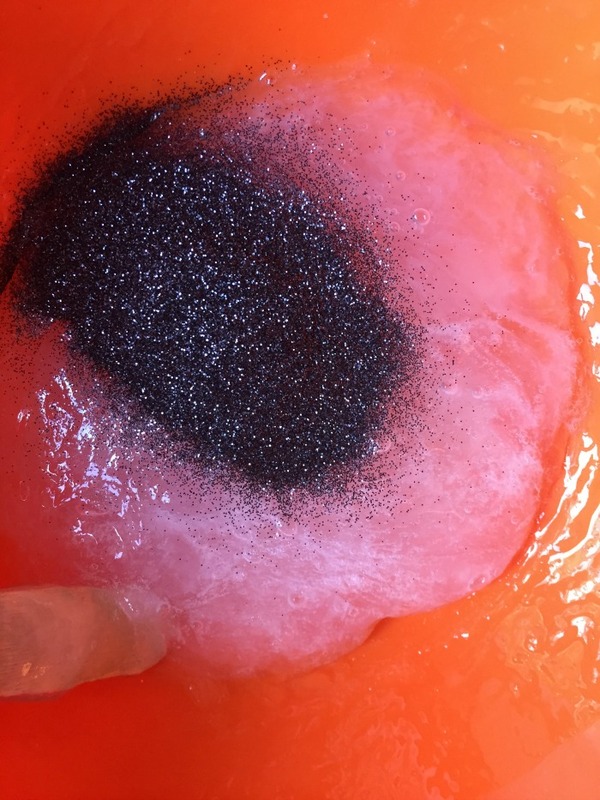 · What do you think the mixture will feel like? If you’ve got a child who likes to eat everything in front of him or constantly puts non-food items in his mouth, hold off on doing this activity. The recipe is not taste safe and should never be eaten. 1. 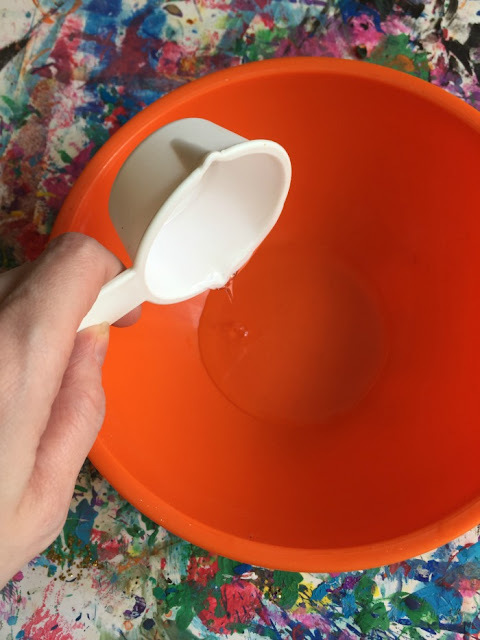 Mix the water and glue. If you want to make a bigger batch, use more of each ingredient (in the same proportions). 2. Add in the liquid starch. As your child pours it in and mix, the slime will start forming. 3. Fold in the glitter. Start with ¼ cup of sparkles, mixing and mashing it through the solar system slime. Add more as needed, until it becomes a dark color. 4. Roll the clay into balls to make planets. Your child can use colors that match the planets (such as green and blue for the Earth) or create his own imaginative options. Make the planets bouncy ball size or smaller (if your child wants, he can size them to scale for our solar system). 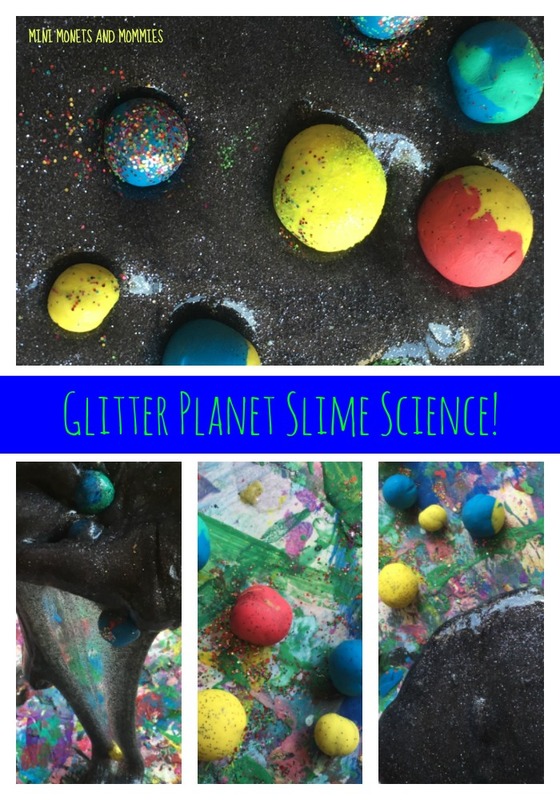 Your child can add colorful glitter to the planets for an extra-special shine. 5. Drop the planets into the slime. Now it’s time to play! Your child can stretch the mix, roll the planets through the galaxy, twirl it, swirl it or experiment with how it moves. 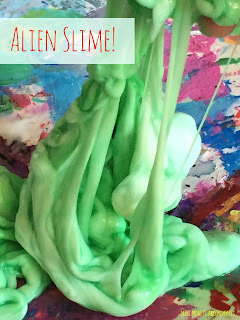 This is such a great way to turn slime super educational. Thanks for sharing. This slime is simply stunning. It looks incredibly easy to make too! I have pinned this to the #ToddlerFunFriday board. Work at Home Jobs: Changing for the Better?